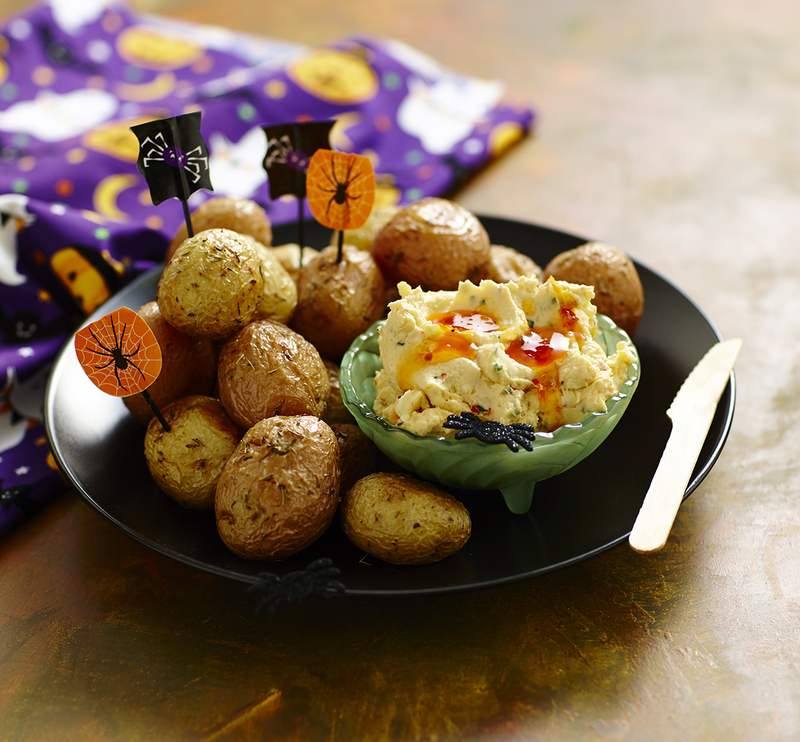 Get your spook on this Halloween with these easy but creepy eats. 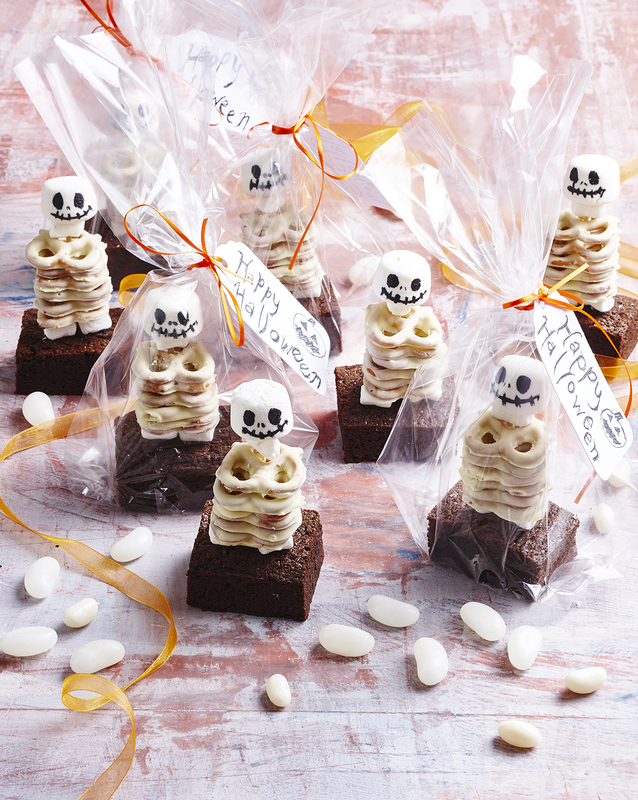 Kids will love these, as will your friends if you're planing a special party to celebrate! Roast baby chat potatoes until tender. Serve with your favourite corn relish dip. Drizzle with a little sweet chilli sauce to serve. 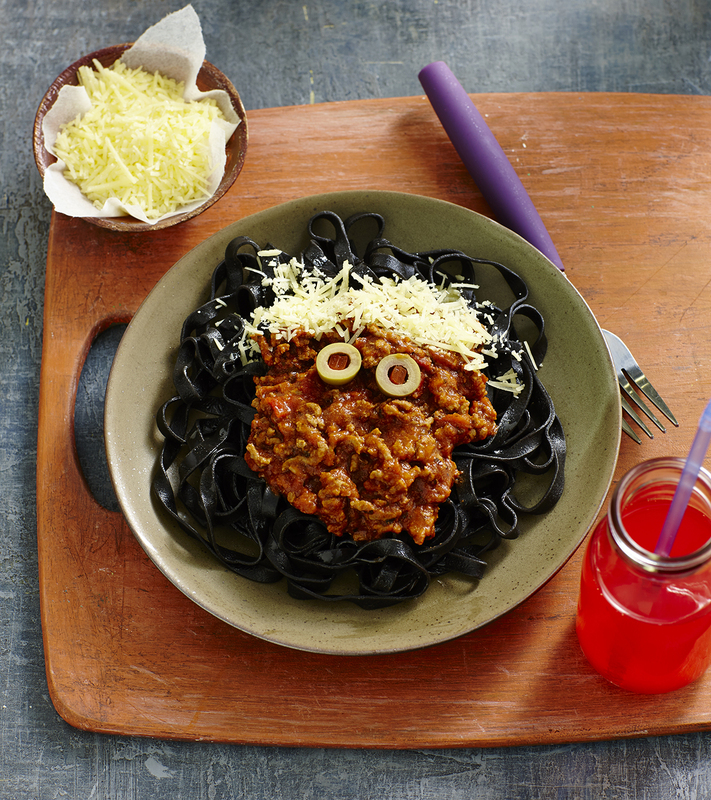 Serve bolognaise sauce over wholemeal or squid ink pasta. Decorate serves with sliced stuffed olives for eyes and grated cheese for hair. Separate and remove frosting from Oreos. Break each in half. Attach to Reese’s Peanut Butter Cups with melted chocolate. Decorate with candy eyes and sprinkles. 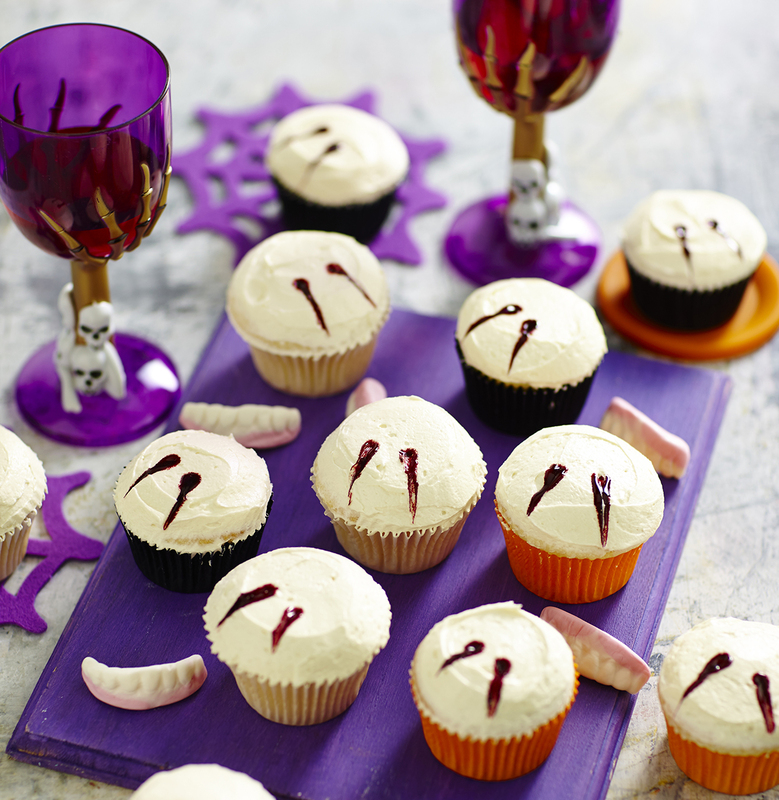 Dip a skewer into red food gel colouring and push into vanilla frosted cupcakes, dragging through the icing to resemble vampire teeth. Dip mini pretzels into white melted chocolate to coat and allow to set. Take squares of brownie and insert a 16cm wooden skewer just back from the centre. Thread 6-7 choc coated pretzels onto the skewer to create the body, using some small mini-marshmallows as feet if you like. Use a black edible writing pen to draw a face on a white marshmallow and then attach to top of skewer to complete skeleton. Wrap in cellophane and tie with ribbon. 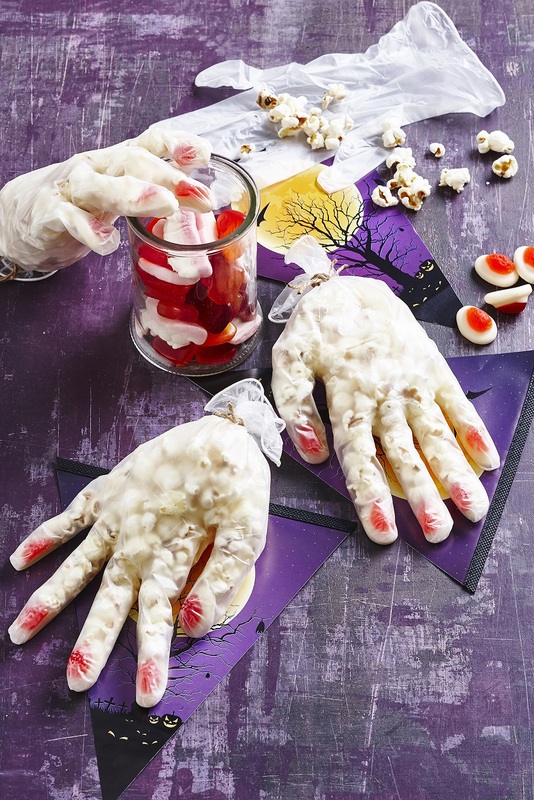 Fill the fingertips of food-safe disposable gloves with Strawberries and Cream lollies to imitate finger nails. Fill gloves with plain or flavoured popcorn and tie the ends with string or ribbon. Attach a small plastic spider to ribbon. 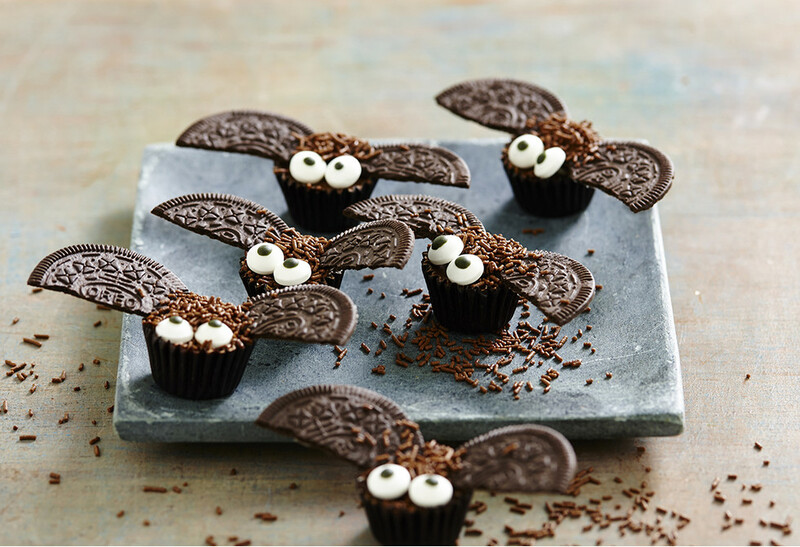 For more freaky Halloween ideas, don&apos;t forget to check out our entire Halloween collection here.